Password-Protected Poker Freerolls - Casino Answers! While looking through the freerolls offered by your favorite poker room, you might find that some of them are password-protected. These tournaments are usually being run by an affiliate, a forum, or some other group that wants to keep their free poker tournament restricted to only the invited players. You will often see these password protected freeroll tournaments at Pokerstars. These tournaments can look very lucrative; because of the password, they’ll have relatively few players, and the prizes are often more generous than the standard freerolls offered by poker sites. This can make it very tempting to try to find or guess the freeroll password and get into the event, even if you weren’t invited. In a bit, we’ll talk about how you can get these freeroll passwords and play in these tournaments. First, though, we need to discuss what you shouldn’t do. Under no circumstance should you harass the players in the tournament by messaging them and asking for the password. This will very rarely get results; more often then not, you’ll just be an annoyance and ruin any chance you might have had of getting into the freeroll. Even if you do trick someone into giving you the password, you’re likely to be ineligible for the prizes being offered. There are other ways of getting freeroll passwords that won’t strain your relationships with players and affiliates. 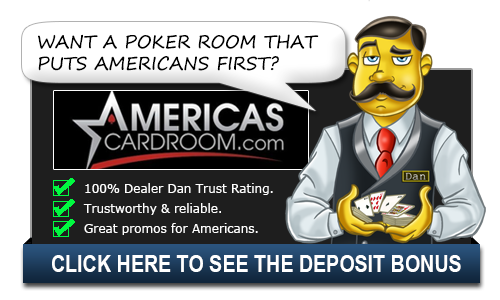 For one, you can look around the Internet and see what affiliates or other groups are sponsoring free poker tournaments. Usually, affiliates will clearly post the requirements for playing in their freerolls on their websites. If you plan ahead, you can take care of the requirements ahead of time, and have the affiliate send you the freeroll password after you’ve earned entry into their tournament. Still, there may be times when you see a particularly good freeroll that you’d like to play in, but you have no time to earn the password through regular means. In this case, there may still be a chance to play, but only if you handle the situation properly. If you know who is sponsoring the tournament, try contacting them to see if they’re willing to let you play. They might allow you in if you sign up with their affiliate and promise to fulfill certain requirements after the tournament. If you’re not sure who is sponsoring the freeroll, you might try asking some players who have signed up for the event. Again, do not ask them for the password! Ask players how you can get in touch with the organizer – then ask them how you can get yourself into the tournament. No matter what you do, there will be some free poker tournaments that you won’t be able to play in. There’s simply no way to satisfy the requirements for every affiliate who is holding a freeroll you want to play in. Handling these situations politely will keep you on good terms with affiliates and players, which could lead to more opportunities later. Pestering players for passwords will only make them less likely to help you out in the future. A lot of very friendly websites like to run their password protected poker freerolls at Pokerstars. How do I get a poker freeroll password? Why do some poker freerolls have passwords? How do I get an invite to an invite-only freeroll poker tournament?